Android Oreo 8.1 is now available for the Essential Phone, the company announced on Tuesday via its Twitter account. 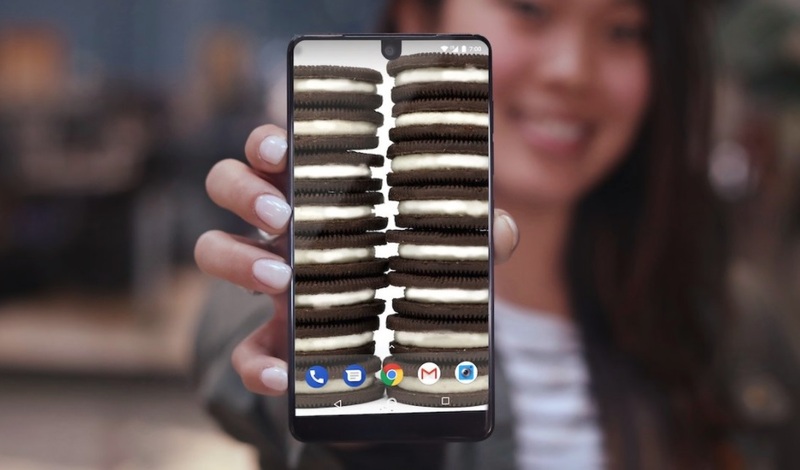 But if you haven’t yet received or updated your Essential phone with the latest Android Oreo 8.1 then let me tell you that how you can get the Android Oreo 8.1 update on your essential phone. The Oreo 8.1 is now available for the Essential Phones and if you are thinking that why the company is rolling out Oreo 8.1 but not the Android Oreo 8.0 it is because of the “several stability issues.” Just to remind you the Android Oreo 8.1 beta update had previously been made available for the essential beta testers. I think there shouldn’t be any issue if you are getting directly the Android Oreo 8.1 instead of the Oreo 8.0 isn’t it?. To get the Android Oreo 8.1 on your essential phone you will need to go to your Phones Setting >> About Phone>> System Update. After tapping on the System Update option the phone will search for an update and if there would be an update the system will show you that and then just tap on download update option and it will start downloading the latest Android Oreo 8.1 on your Essential phone. The latest Android Oreo 8.1 update is much faster, lighter and provides several new improvements to your Android phone. The Android Oreo 8.1 provides much faster startup to your phone and takes less sign in time. It also provides text selection more smartly while texting and instant apps opening. The Android Oreo 8.1 also lets you watch your favorite videos in a windowed mode while browsing other tabs. The Android Oreo 8.1 also comes with much-improved protection with Google Play Protect, which scans apps for malware before and after installation. Have you received the Android Oreo 8.1 update on your Essential Phone? do let me know in the comments section below.